Publishers with larger support plans will be able to prioritise tickets, and ensure that issues are addressed within a shorter time-frame. Provide a detailed description of your support request. 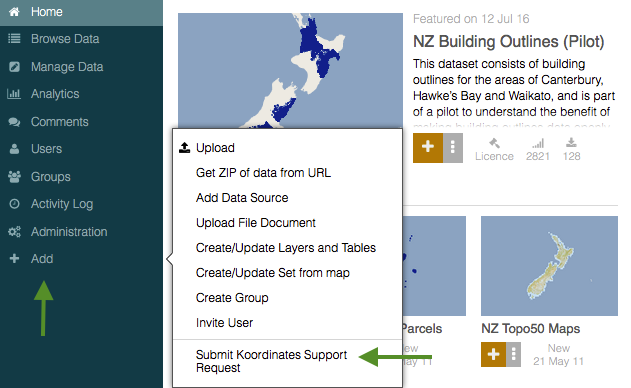 To help Koordinates Support assign your request to a team member, you can tell us what type of request you are making. Choose from one of three levels of impact. This will enable Koordinates Support to more effectively respond to your request. If possible, add an attachment - such as a a screenshot - to clarify your request for the Koordinates Support team. Click Save to submit your request to Koordinates Support.